After graduating from University, Nkechi gained valuable clinical experience working as a musculo-skeletal specialist in both the NHS and private medical sector. With over 10 years experience, Nkechi has developed her skills to include acupuncture and manual therapy, including spinal manipulation. 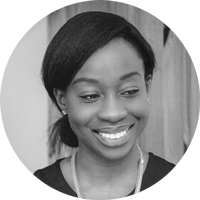 In recent years, Nkechi has been based in the City working alongside private GP’s and leading Consultants ,and has continued to expand her studies to include ergonomic workstation assessments and strength and conditioning (personal training). Outside of work, Nkechi enjoys travelling, running, gym exercise classes and has recently taken up a new hobby in surfing. Nkechi works at our City Clinic throughout the week. "LCP offers first class Physiotherapy along with a friendly service from the practitioners. Over the past few years I have also enjoyed the Pilates classes and the massage therapies at LCP. I particularly like the way the Pilates studio is used for physiotherapy sessions which makes the therapy more dynamic and innovative. Without hesitation I would recommend LCP for physiotherapy, Pilates and massage therapy."